The seventies-era golden age of American film has been so exhaustively romanticized that it’s hard to believe anything, or anyone, has been overlooked—until you consider the actor John Cazale. You likely recognize his face, but if his name proves elusive, that only strengthens the case for I Knew It Was You, a 40-minute HBO-produced documentary from director Richard Shepard that’s the centerpiece of BAM’s upcoming retrospective “Rediscovering John Cazale.” The classic tidbit of Cazale trivia is that he appeared in only five films, all of which (The Godfather, The Godfather Part II, The Conversation, Dog Day Afternoon, The Deer Hunter) were nominated for a Best Picture Oscar. The films are all landmarks, of course, and so Cazale—best known as the frail Fredo Corleone—may be vaguely familiar. I Knew It Was You makes a convincing, even moving, argument that he’s been severely underappreciated as well. To call Cazale a Zelig of the seventies movie boom is to undersell his talent and his influence. It’s true he appeared in three films and three plays with Al Pacino—they’d met while working as messengers at Standard Oil—including a famed 1968 Off Broadway production of The Indian Wants the Bronx, written by Israel Horovitz (the father, incidentally, of Beastie Boy Adam Horovitz). 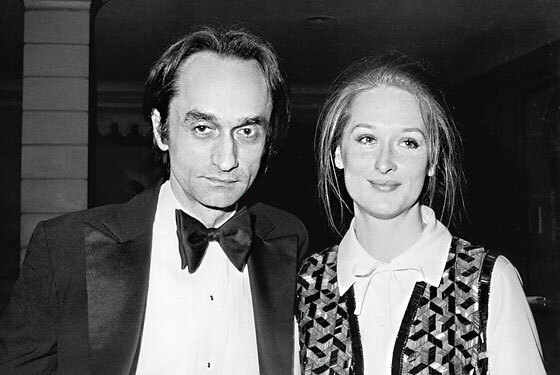 It’s true that Cazale was romantically involved with Meryl Streep, whom he’d met doing Measure for Measure at Shakespeare in the Park, and whom he loved right up to his death from lung cancer, at age 42, in 1978. (“I’ve met the greatest actress in the history of the world,” he told Pacino; as it turned out, he may well have been right.) I Knew It Was You is a lively summation of Cazale’s career, but its real success comes in demonstrating that, had he lived, he’d be mentioned today in the same breath as Pacino, Streep, Robert De Niro, and Gene Hackman—i.e., the Mount Rushmore of American Film Acting. Shepard undertook the project simply because he, like many film nuts, is a closet Cazale fan. He wanted to learn more, but found little was out there. So he cold-called Cazale’s brother for an interview. Shepard knew, though, that he’d have no film without Streep, who’d been famously reluctant to discuss her relationship with Cazale. “Her response was ‘I don’t talk about my private life, and I certainly don’t talk about it with people I don’t know,’ ” Shepard says. By chance, Streep ran into Cazale’s brother at an art opening, and he persuaded her to take part. “That was the turning point,” Shepard says. “I learned more about acting from John than from anybody,” says Pacino in the film, and a half-dozen other actors—including De Niro, Hackman, Streep, and next-generation admirers like Philip Seymour Hoffman and Steve Buscemi—dissect Cazale’s brilliance. It’s an affecting tribute, a fascinating tutorial, and a warm love letter to an era electric with talent. Along with Shepard’s film (and a Q&A with the director), BAM’s festival will feature screenings of all five of Cazale’s films. The hardest part is choosing which one to see, so don’t. See them all.